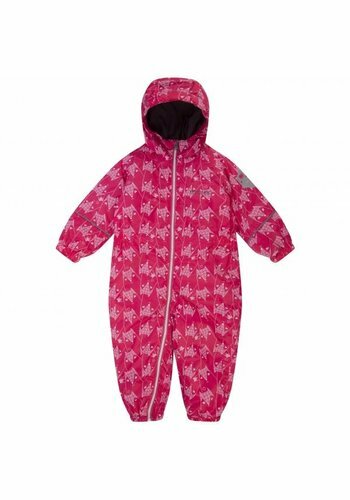 Wonderfully comfortable, breathable and lightweight pink rain suit. 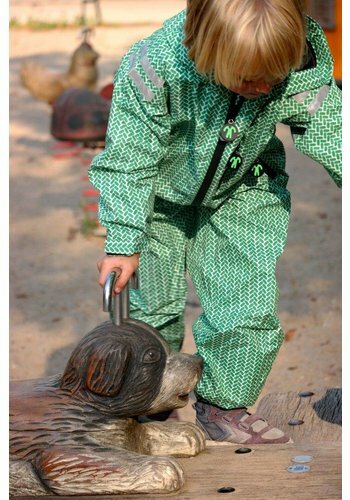 This coverall for your toddler, made by the quality brand Regatta, ensures hours of fun in the rain or mud! 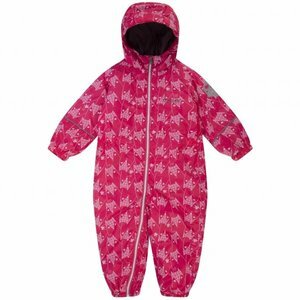 These rain suits are available for babies and children from 6 to 12 months up to the kindergarten age. The yellow Puddle rain suit is lightweight, folds up small, has tamed seams and is fully water- and windproof thanks to the Isolite material. The suit comes without lining, has a fixed hood and is decorated with a nice print on the pant leg. The garment is a onesie,? ?easy to put on and take off thanks to the zipper across the whole length. It can be opened from chin to ankle, so it's easy to use, even for the biggest strugglers. The suit has elastics in the sleeves and pant legs. The reflecting sleeve edges make this suit save to wear when it's dark outside. The rain suit is machine washable up to 40 C.
There are also lined versions available which can be used during winter, such as Splosh, the rain and ski suit which comes in the same colour. Or the Mudplay with animal print and little ears on the hood. Isolite is Regatta's waterproof and breathable lightweight fabric to keep you dry and comfortable. We recommend a larger size if you want to use this suit during winter, with thicker clothing underneath. 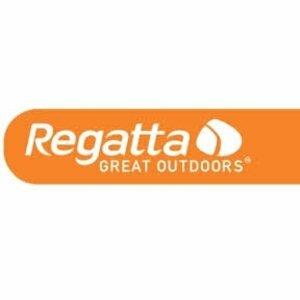 Regatta tends to be small.